The Ravenna Country Market is a prime example of a Lokal Digs. This little shop is located in the small town of Ravenna and is full of character, local products and delicious baked goods. 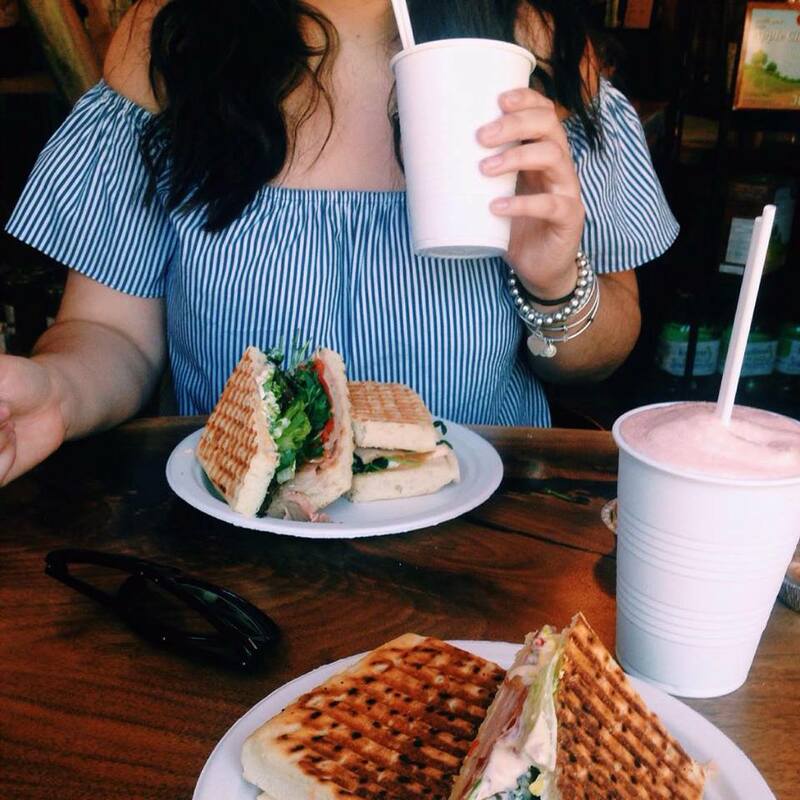 It's hotspot is definitely worth the buzz and known for their homemade butter tarts and panini pressed sandwiches. And don't even get me started on the roasted red pepper mayo. I decided to go up on a Tuesday and grab some good ol' wholesome food. Called up my gal pal Kenzie Fletcher (absolute beaut) and recruited her on my tour to Ravenna. When we first arrived we noticed a sign that said they were serving Meredith's Ginger Elixir slushies inside so that was a hard YAS. Locally made, punches of ginger and all around yum. Driving by, you may not think much when seeing this small little market shop, but inside is what really counts. Minutes in the door, we had the pleasure of meeting one of the owners, Roy, who was an absolute gem with a sense of humour to boot! He was so incredibly friendly and sure made this visit special. On the table today you'll see a ginger elixir slushy, pecan butter tarts and a flatbread sammy w/ roast beef, caramelized onions, roasted sweet peppers, cucumber, lettuce, goats cheese and of course a big dollop of that roasted red pepper mayo. Droooooool. Some days all you need is a good saucy sandwich. Am I right? When it comes to food, I love technique and style like the next guy, but I also have a fully loaded soft spot for good flavours despite how it looks on the plate. This meal was affordable, low-key and made my belly so happy. Simplicity is key sometimes and I could taste the homemade appeal and love that this local gem puts into their food. Full disclosure, probably one of the best butter tarts I've ever had. I wanted to go for seconds, and Roy fully supported me on that, but I knew I probably shouldn't. I decided to savour the one I enjoyed and plan my next trip back for the second. Seriously though, check this place out! Not only do they have on the go lunch options, but they have pre-made frozen meals made in house, local honey, soup kits, coffee, and other nick-nacks to browse. Apparently it's tradition to offer you a free butter tart on your first visit. If that isn't a reason to take a visit to the Ravenna Country Market, then I don't know what is. You won't regret it. I'll be dreaming of sandwiches and butter tarts for days to come. Make sure to give them a like on Facebook!